Click through the Media Gallery below to see which picture is a toad and which is a frog. 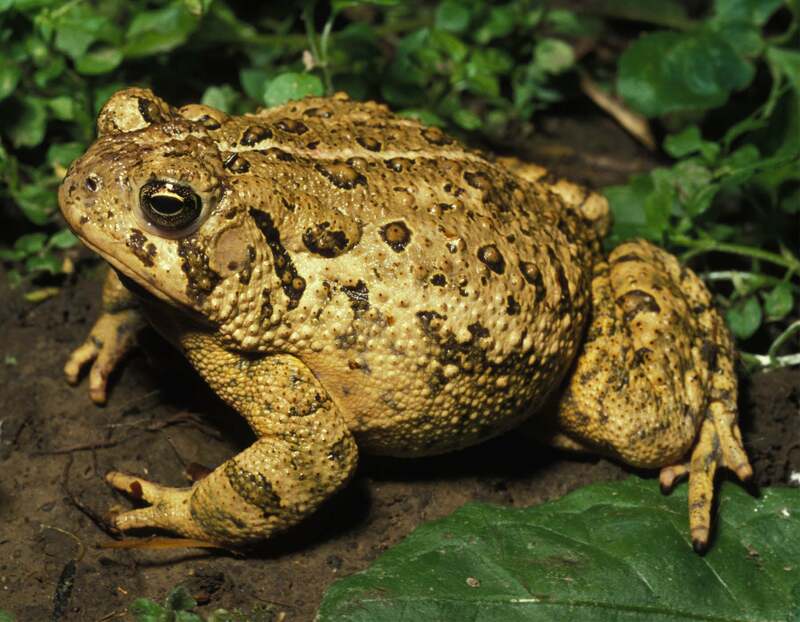 Between 15 and 20 types of toads and frogs live in the Midwest. They may look similar but there are ways to tell them apart. Toads have dry, rough skin while frogs have smooth skin and feel moist. Toads have short hind legs, perfect for hopping. 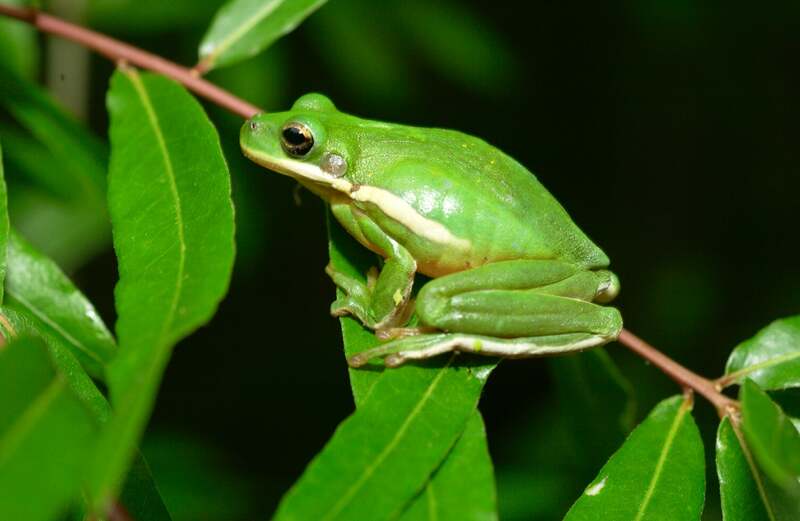 Frogs have large, powerful hind legs and can jump a long way in a leap. Toads have little to no webbing in their feet while frogs have a lot between their toes for a powerful swimming stroke. And toads have no teeth while frogs have sandpaper like teeth for snagging insects. Both eat vast numbers of insects. Male toads and frogs have distinct breeding calls. These chirps, croaks, trills and peeps fill the night air in spring and early summer. Toads and frogs are amphibians, a class of vertebrate animals that also includes salamanders. Toads and frogs differ from salamanders, however, by having relatively short bodies and lacking tails at adulthood. Being an amphibian means that toads and frogs live two lives: an aquatic larval or tad-pole stage, and a semi-aquatic or terrestrial adult stage. Of the 6,145 species of amphibians currently recognized in the world, there are approximately 4,145 species of toads and frogs. All Missouri toads and frogs must return to a body of water to reproduce. Toads and frogs defend themselves in several ways. Their predators include fish, turtles, snakes, birds and carnivorous mammals-shrews, mink, skunks and raccoons. The toads and frogs native to Missouri are a valuable part of our outdoor heritage. Most people probably do not give them much thought, but we need these amphibians to control destructive insects and to add their voices to the sounds of spring and summer nights. 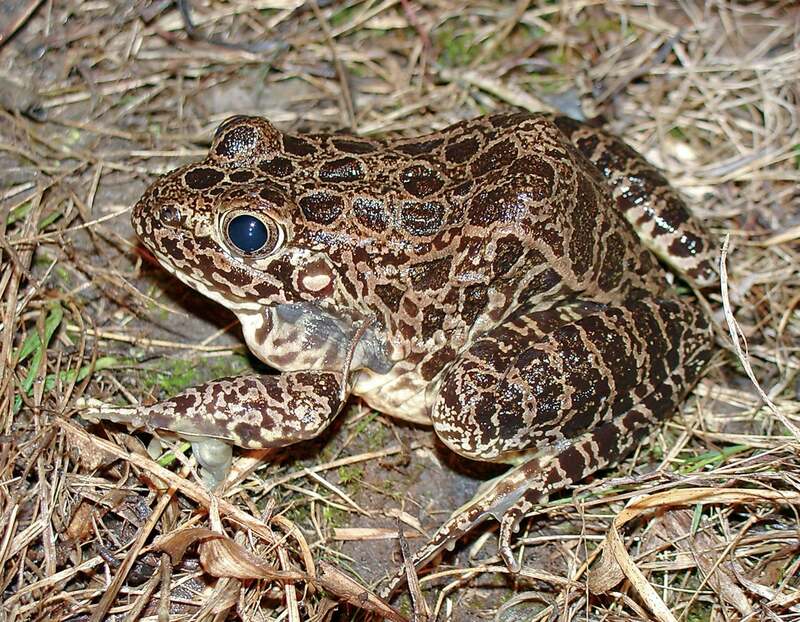 For more on toads and frogs, check out this publication from MDC. Today while working outside, I thought about when we had had termites. I’m wondering if termites hibernate in the winter time?